A Passionate Spirit is featured in the latest edition of “STEPS” the Lancaster University alumni magazine online. The picture below was taken on Box Hill, in Surrey, on a recent visit. I have happy memories of Box Hill from my childhood, as I was born and brought up in Kent. This is a landscape which has aroused love and feelings of spiritual wellbeing in many. This time I couldn’t help but recall once again one of the most famous scenes in fiction; the picnic which takes place in Jane Austen’s novel Emma, when Emma allows her irritation with Miss Bates to overcome her forbearance… provoking a reaction from Mr Knightley which makes Emma realise for the first time how much she cares for his opinion of her. And, curiously, Emma was the subject of my very first English Literature seminar at Lancaster, when I was pounced upon and challenged to mount an argument in defence of Jane Austen’s literary reputation. I had much less insight into human psychology then than I do now, having spent many more years observing people and relationships and the many ironies of this life; and (to my eyes at least) I failed miserably on that occasion! A fitting literary scene, then, for an author photo to go alongside my Lancaster University alumni article. Recently I came upon an article in The Psychotherapist magazine which highlights the close parallels between the novel and the process of psychotherapy. In her article Psychotherapy and the Novel, in issue 56 Spring 2014 edition, the author (therapeutic counsellor Rosamond Williams) makes the point that only the novel (of all the narrative art forms) offers a parallel detail to the process of psychotherapy, in the exploration of relationships, thoughts and feelings. Rosamond Williams cites as examples the following novels: Jane Austen’s Emma, George Eliot’s Daniel Deronda, Dickens David Copperfield, George Eliot’s The Mill on the Floss and Charlotte Bronte’s Jane Eyre, as well as Doris Lessing’s The Golden Notebook. In all of these we can trace the hero or heroine’s learning curve through their confusions and unsatisfactory relationship to resolution: a very therapeutic experience for the reader as well as for the main protagonist. I can bear out everything she says not only in my reading, but in my own novel-writing. In Jane Austen’s Price and Prejudice for example, I believe there are many other universal truths, equally valid for our own lives in 2014 just as they were in Regency England, that we can learn, well beyond the ironic and flippant one in the first line: that a single man in possession of a fortune must be in want of a wife. 6) sometimes you can, through your own wrong-headedness and flawed attitude, interfere to try and stop a certain event happening, and end up being the vital factor that facilitates it. I can identify, too, with the psychotherapeutic journey in my own fiction-writing. 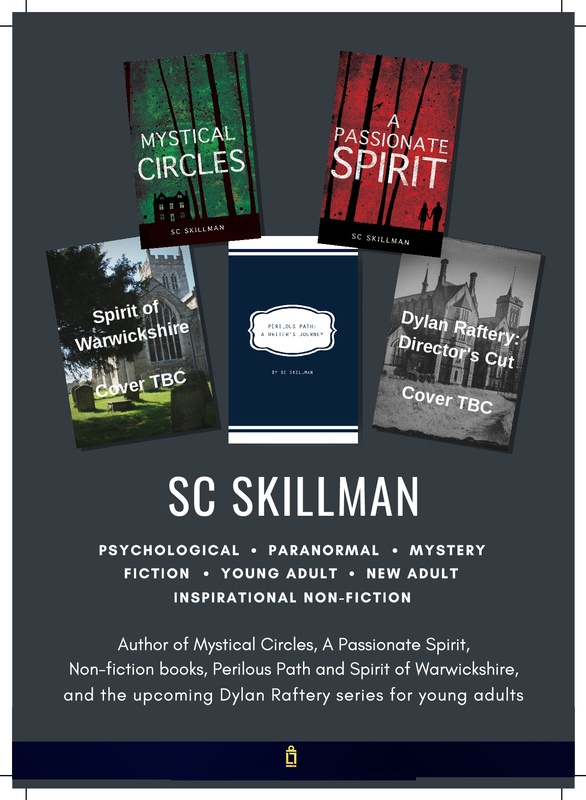 In my upcoming novel A Passionate Spirit, my heroine, Zoe, sees her situation as perfect and ideal; when negative influences start to creep in, she denies them; through her stubbornness she continues her denial until she is goaded by a friend with a totally different outlook on life to recognise the threat for what it is. Only when the antagonism has become too great for her to ignore, she makes a critical choice to take responsibility and act to oppose the menace which is engulfing her life. To me this closely parallels the journey one may take in psychotherapy. One of my favourite Christmas gifts was one I bought for myself for 10p in the late stock-clearance at my son’s school Christmas Fair – an audio book of Jane Austen’s Pride & Prejudice. I’ve been listening to it in the car over and over again. And despite Death Comes to Pemberley on TV after Christmas, I still cannot get enough of Elizabeth, Darcy, Mrs Bennett, Lydia, Wickham and all the rest of them. In addition, as another Christmas gift I received the DVD set of the classic BBC TV series starring Colin Firth as Darcy and Elizabeth Ehle as Elizabeth Bennett. You’d think that knowing all the story-points and the outcome would dim your enthusiasm for engaging with one novel again and again. Yet in Pride and Prejudice my appetite is never sated. On every hearing, there are new glittering gems of psychological insight, discernment and irony to be found. Was there ever such a bitchy young woman as Miss Bingley? Or such a cringing sycophant as Mr Collins? Can we ever quite fathom the sardonic detachment of Mr Bennett? And was Lady Catherine really pleased with Mr Collins’s obsequiousness? 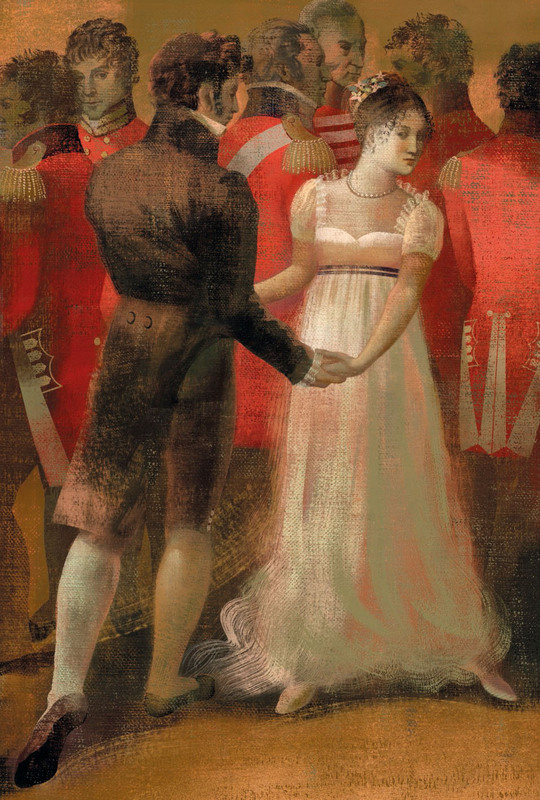 And can we ever truly understand Charlotte’s decision to marry Mr Collins, or determine exactly what Mr Wickham imagined would happen to Lydia and her family once he’d finished with her in London and gone off abroad to seek better chances there – as was his avowed plan when Darcy finally hunted him down? And has any author ever written a better account of a changing heart than Jane Austen’s, in her depiction of Elizabeth reading Mr Darcy’s letter and coming to a new opinion of the respective characters of Mr Wickham and Mr Darcy? We keen novel readers have many ideas of the best novel ever written. Some may say Cervantes’ Don Quixote, or James Joyce’s Ulysses, or Tolstoy’s War and Peace, or Dostoyevsky’s Crime and Punishment. But I say Jane Austen’s Pride & Prejudice is the most perfect novel ever written because I can never get my fill of her wisdom and insight into human relationships and behaviour and motivation. And there seems no end to the power of this story and these characters and this author’s observations, to set off answering bells in my own life-experience. A friend recently asked me this question on behalf of her daughter, an Eng Lit A level student: “How do you analyse a novel?” And I tried to be helpful… but what strikes me most about literary criticism is that even though you may analyse a novel on many levels, according to the personal preference of the analyst, none of it may bear any resemblance to the author’s original intention. I recall my first Eng Lit seminar at university. Before us was Jane Austen’s novel Emma which we’d all been asked to read during the vacation. Our tutor opened by asking, “Does anybody here actually like Jane Austen?” Silence met this question. Then I foolishly said, “Yes.” “Why?” he shot at me. “Her use of irony,” I said. “Read me a passage from the book which demonstrates her use of irony,” he said. The spotlight was on me. My mind blanked. I flipped through the book, totally unprepared, panicking. “All of it is ironic,” I said. At that time I was naive and unprepared for the kind of critical thinking university study requires of you. I soon became more streetwise, but even so there was no way to avoid being caught out. Another tutor opened a seminar with the words: “Today we are going to look at Sylvia Plath as victim and product of society.” Later on in the discussion, he targeted me with the words, “And what about you, Sheila? Surely this relates to your earlier theme, doesn’t it?” And I couldn’t remember what my earlier theme was.